Lemon Balm (melissa officinalis) is a member of the mint family. The leaves, stems, and flowers of this herb are used for medicinal purposes. Lemon Balm is high prized in herbal practices, with clinical research validating many of the cognitive enhancing and anti-anxiety effects. Traditionally lemon balm has been used for its memory-enhancing properties, a sleep aid, a mild sedative, a mood elevating herb, and for many general health aliments. Today, lemon balm is growing in popularity for its ability to naturally reduce anxiety and nervousness, improve mood,focus, memory, and sleep quality. 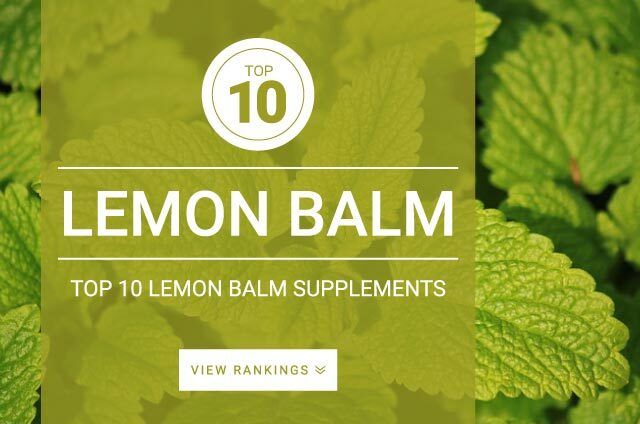 Overall, lemon balm offers an array of many different medicinal and nootropic benefits. This herb can help reduce anxiety, restlessness, and improve mood, sleep quality, cognitive function, and focus. This plant may have the potential to combat Alzheimer’s disease, ADHD, and General Anxiety Disorder. Lemon balm is on the FDA’s GRAS (generally recognized as safe) list. It should be noted that Lemon balm does aid insomnia and therefore lemon balm may reduce reaction time and alertness. The optimal dosage range of lemon balm according to clinical research for calming effects, mood enhancing, and cognitive function improvement is 300 mg – 1,800 mg daily. According to research the most notable improvements in cognitive and mood enhancing effects were near the higher dosage amount, 1600 mg.
Tincture 1:5 extract dosed at 3-5 mls three times a day. Infusion of 1.5 – 4.5 grams dried herb to 150 mls water taken as a tea, three times a day. Fluid Extract 1:1 extract dosed at 2-3 mls three times a day. Extracts and tinctures should be taken according to label instructions for best results.